To diversify revenue streams media providers in the Pacific Northwest and elsewhere are experimenting with a range of different way to secure income. Previously I mentioned One popular way newspapers are doing this is through paywalls and digital subscriptions. In this post, we will discuss the use of events. Attracting revenues in the digital world, for many publishers, has simply involved migrating their traditional strategy (display advertising and subscriptions) into the online arena. Although these efforts have not resulted in a like-for-like income stream, it arguably hasn’t inspired them to innovate much either. In contrast, the event space—an area that a number of local media outlets have been moving into over the past couple of years—has required them to think—and do—things differently. 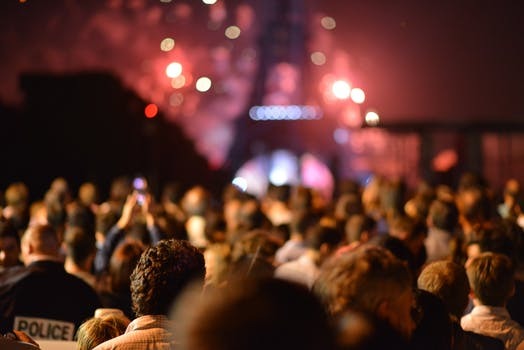 For local media players, events are an opportunity to engage your community in the real world while potentially attracting significant revenue in the process. 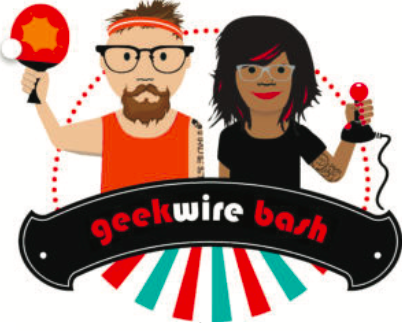 2017, Seattle-based GeekWire—a “national technology news site with strong roots in the Seattle region”—hosted its Sixth Anniversary Bash. The site also hosts other events aimed at the local and national tech community, including summits, meetups, a gala event, awards, and a daylong entrepreneurial bootcamp called GeekWire Startup Day. Following in these tech-led footsteps is TechFestNW, a convening of entrepreneurs, investors, and startups in Portland, Oregon, founded by Willamette Week’s Mark Zusman in 2012. Zusman also co-founded MusicFestNW, which takes place in Portland’s Tom McCall Waterfront Park. In pursuing this model, PNW media organizations like GeekWire and Willamette Week are not alone. 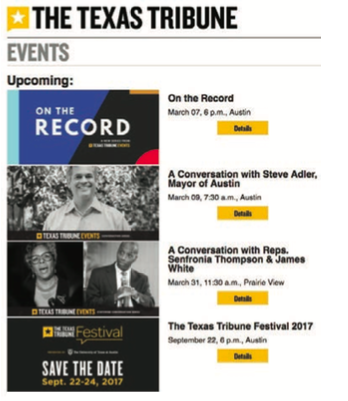 In January 2017 alone, the Texas Tribune hosted seven events, featuring politicians and academics and covering topics such as race and public policy, ethics and open government, and mental health. It also hosted a trivia night. The events space, which creates opportunities to create content—as well as revenue—is an arena we can expect more publishers and local media companies to move into in the future. Read about this and more in the Agora report.